The workshop experience offers a mixture of studio and recreational experiences, so you will need to bring a combination of work clothes, safety gear, and normal travel gear. For more information on required and recommended items for the trip, please click here. One of the goals of our program is to combine high-level training with simultaneous exposure to some of the best examples of artwork in the discipline. It is estimated that Italy possesses nearly three-quarters of the West’s artistic patrimony. 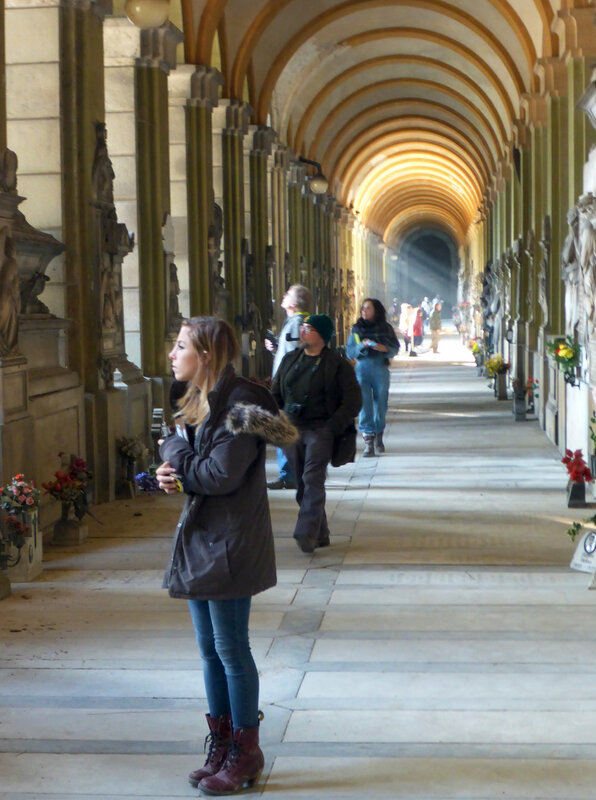 Aside from having weekends free to travel to points of local interest, students will be taken on field trips to Staglieno Cemetery or Florence, depending on the course. We will also be visiting Pietrasanta to purchase tools, and Fantiscritti quarries to learn about how marble is quarried today. In Italy, mealtime is sacred time, a moment during the busy day when we can sit, enjoy good food and socialize. During the work week, we will be enjoying lunches at a port-side restaurant in Carrara, included in the tuition. Additionally, there will be "welcome" and "farewell" dinners at both ends of the course in a local osteria. Outside of class and on weekends, participants are free to discover meals on their own in many local, delicious pizzerias, trattorias, and other restaurants. In addition to typical Italian cuisine, there is an abundance of seafood options in this seaside town. Participants are responsible for getting to and from Carrara. For those staying at Villa Acero B&B, shuttle service will be provided daily back and forth to the studio. There are also bicycle rental outfits with affordable daily and weekly rates, for those who prefer a little exercise and more autonomy. Car rentals provide the most flexibility, especially for excursions on weekends and after hours (in June, there are four hours of daylight after class ends at 5pm).